"An Asperger Actor" is the story of a conflicted young man who grew up with the sense that he was a little bit 'different' to the other people around him. He had an excitable fantasy life that confused his perception of the world around him, leading to bullying and mental health problems dogging him at every turn. He finds his niche doing theatre, as pretending to be other people brings him out of himself. But this is only the beginning of a very long struggle that takes him from the silver streets of Aberdeen to the bright lights of London. This is the tale of a young man coming to terms with who is, and learning sometimes playing yourself is the hardest role of all. Alain English was born in Balloch, Scotland but grew up in Aberdeen. He was diagnosed with Asperger's Syndrome aged 16. He is a graduate of Robert Gordon's University, with an Honours Degree in Publishing Studies. He also has a Postgraduate Diploma in Screen Acting from the International School of Screen Acting. 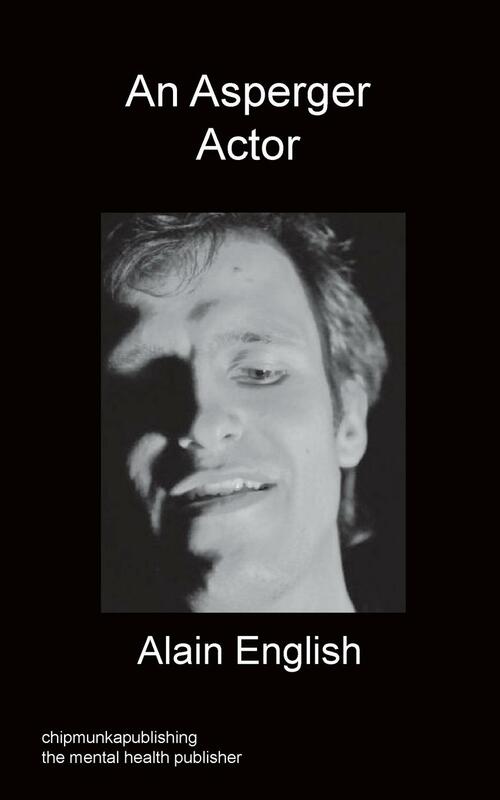 Alain is now based in London, where he continues his writing and acting career. I am an actor. I have Asperger's Syndrome and this is the story of my life. It is about my personal journey in theatre and life, and how I got to where I am now. This is not an exhaustive account, and I won't be discussing every show I've done or every person I have met. I have changed some names or left them out altogether to protect people's privacy. I speak very frankly about my life, and I am not looking for sympathy or to blame anyone for my situation. The intention is to give an accurate and honest account of myself, and I hope I have achieved this. I was born on 22nd February 1982 in the Vale of Leven Hospital Loch Lomond. When I was three months old, my parents moved to Aberdeen and my sister Yvonne was born two years later. My mother looked after me and my sister, while my father was out at work. I don't what it was that predisposed to me to fantasy, and theatre, but it was there from the start. My first memory of the theatre was when I was four. It was in Glasgow and I had gone to see my cousin perform in a show. I remember seeing my cousin onstage, the scary grandeur of the auditorium with it's red seats and wall paper and high gargoyles, then leaving the warmth of theatre into the cold Glasgow air once the show had ended. I grew up in a loving family but life was not easy. Academically, I was very smart, especially at English. But a child's real education is not in the classroom, it's in the playground and it was there I was completely lost. My problem was my personality. I was a compulsive fantasist, and I had very little social skills. I was bullied a lot, even by some kids whom I called friends, and I had difficulty with controlling my various random impulses. It was often failing to control myself, and what I said and did, that stimulated much of the bullying. I was a bit of a bully myself if I'm honest. I would tease some people for being fat and ugly, and sometimes they would fight back and make me feel sorry for it. At one point I joined in the bullying of another boy who eventually moved to another school. He did get his own back later; after he teamed up with some friends I had fallen out with and humiliated me on my front door. These kinds of incidents were very common to me, and I was usually on the wrong end of them. This product was added to our catalog on Thursday 15 August, 2013.